Johan Van Dyck from brewery Duvel-Moortgat has been selected as the 2010 top marketeer in Flanders. He is the marketing manager of beer brands such as Duvel, Vedett, Maredsous, La Chouffe, Liefmans and De Koninck. We here at dirty hands marketing like the choice of a low profile, hands-on marketeer that takes his time to build strong results. And with the beer market shrinking, they have shown strong growth figures in the last couple of years. So what is the story behind his marketing success? Both elements try to illustrate the authentic character of their products. Part of that strategy is to never discount their products. Each of the brands has a separate identity. 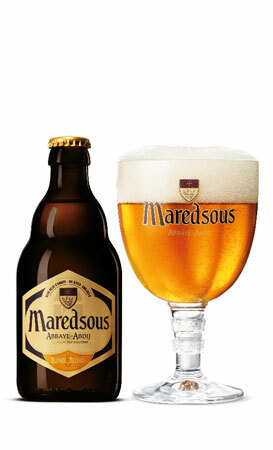 For the Maredsous brand, an abbey beer, they put the abbey heritage of the brand central. The colors of the abbey together with the text written and signed by the seal of the abbot on the six point label all enforce this. If you are working with a brand like Duvel, you have to treat it with respect. A longer interview with Johan Van Dyck (in Dutch) can be read here(pdf). Reports from the lands of marketing, psychology and the internet. Check out the marketing psychology toolbox!